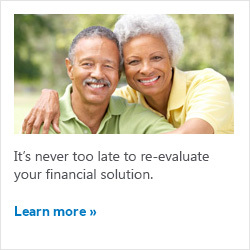 At New York Life, we believe in helping people like you, families like yours, and business of all kinds. Since 1845, we've been doing just that - making sure our customers are prepared for whatever life has in store and doing everything we can to help them face tomorrow with confidence. Why do we do it? Because in many ways, we're just like the clients we serve. In fact, many of us ARE clients - with all the same hopes and dreams that you have for your family and future. Like you, we each work hard to meet life's responsibilities and create a better life for ourselves. Funding retirement? Caring for aging parents? Dealing with the death of a family member? You can be sure we've been there and have found ways to persevere through even the toughest times. As one of the nation's oldest and largest mutual life insurance company, we've made a habit of keeping our promises and honoring our commitments, so when the time comes to trust someone with your most important assets, you can have confidence in the fact that we take that responsibility seriously. We invite you to explore the depth of our commitment: Talk to your friends and neighbors - many of them may be New York Life customers. Read what the leading rating agencies have to say about our company. Ask our competitors why we continue to gain new clients. Most important of all, see for yourself why we continue to earn the steadfast loyalty of millions of American families - many stretching back for generations. Whether you're on your own, have a family, or run your own company, let's get together and talk about your future. New York Life is The Company You Keep®, and we're here to help.